the largest and longest-running cleantech startup accelerator program, with the mission to find, fund, and foster entrepreneurs with ideas to solve our greatest environmental and energy challenges. 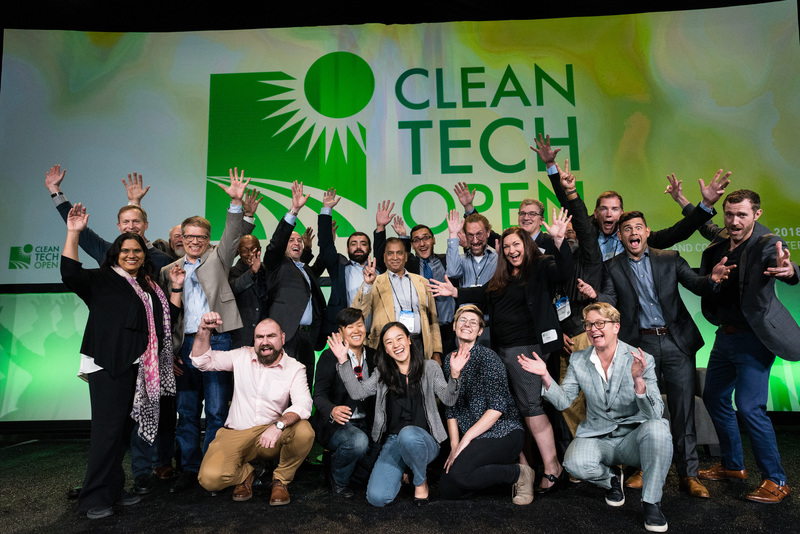 Through the Cleantech Open's annual business competition and accelerator program, we connect cleantech startups with the people and resources that will accelerate their success, and provide a national platform for public visibility. Cleantech Open West, now a program of the Los Angeles Cleantech Incubator (LACI), has been working with early-stage cleantech start-ups for over a decade to increase the number of viable cleantech start-ups moving into the rapidly maturing commercialization support system in the Western U.S.
We are fueled by a network of ~400 pro bono professionals, business leaders, and representatives from our sponsor and partner organizations from across the West dedicated to bringing promising clean technologies to market. Each year, we work with 30-50 early-stage cleantech start-ups across the West, providing them the structure, guidance, and connections to move forward with their innovative cleantech ideas and technologies. In 2017, Cleantech Open in the US opened its doors to non-US startups that are able to participate in key events in California – our National Academy West in June and our Cleantech Open West Awards & Innovation Showcase in October. If you are a startup from outside the US and are able to join us in person for our key acceleration events, we welcome you to apply! Join Our 2019 Accelerator Program! The Los Angeles Cleantech Incubator (LACI) is the regional affiliate for Cleantech Open. LACI executes the Cleantech Open West accelerator and business plan competition in California, and supports Cleantech Open startups from across the West - Hawaii, Nevada, Oregon, Washington, and British Columbia.